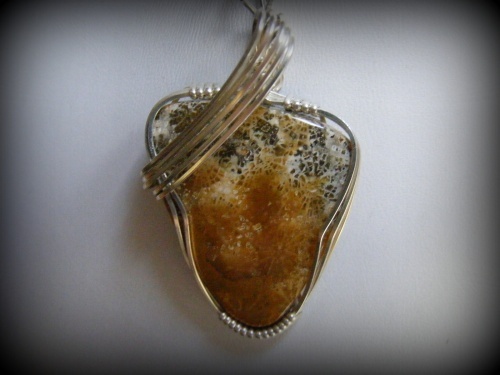 This natural fossil coral gemstone is one of a kind with its fossil nature pieces embedded in the stone. Rich colors of browns and some black make the stone even more beautiful. Piece measures 1 6/8" long from top of bail to bottom of stone and 1" across. Comes with a sterling silver snake chain.